A little dog called Nelson used to live at this home... a beautiful George Nelson pendant also floats over this gorgeous HOME STUDY. 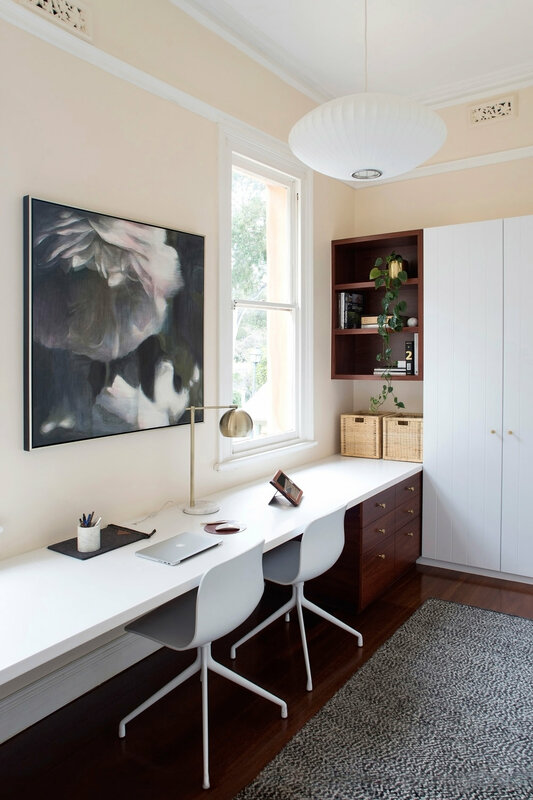 A simple design that provides the clients with generous desk space and storage. A strong example of how old and new can be integrated.